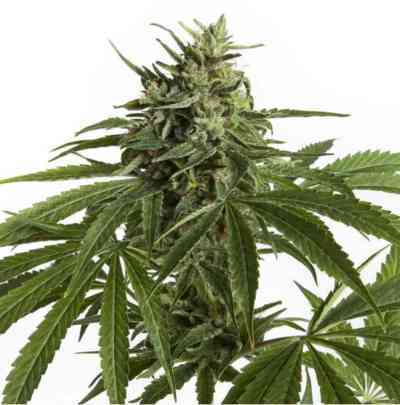 CBD Med Gom Auto autoflowering marijuana seeds with a high CBD level are the result of painstaking research and a long development process, CBD Med Gom Auto is the bud-child of Grass-O-Matic and CBD Crew. Their combined efforts have produced a high quality strain which also comes bundled with a ton of autoflowering advantages. All the seeds of CBD Med Gom Auto will generate females plants with a minimum guaranteed content of Cannabidiol (CBD) of 4%-6% and which are ready to harvest within just 9 weeks of germination! In terms of growth, Med Gom is a very manageable plant that grows to around 1 metre in length. Growers short on space will want to take a look at this unique strain, which is in a class of its own. As it matures it develops compact buds completely frosted of sticky resin which exudes an intense citrus aroma with spicy undertones. This intensity is mirrored by the strain's high, which is thanks to its tremendous THC/CBD content - the result is a prolonged and satisfying experience. CBD Med Gom Auto is something of an early riser, going from germination to harvest in just 9 weeks (8 for more seasoned growers). The average yield of the CBD Med Gom Auto tends to be in the region of about 50-150g per plant, depending of course upon the growing conditions. CBD Med Gom Auto is an exceptionally therapeutic strain, capable of easing a wide range of intrusive and painful ailments. The high CBD content in CBD Med Gom Auto helps to reduce psychotomimetic effects caused by the THC, such effects include anxiety, loss of memory and concentration. Growers looking for an innovative strain needn't look any further, as CBD Med Gom Auto is as unique as they come. An autoflowering strain high in CBD is simply unheard of, something we're sure cannabis connoisseurs will want to get their hands on.